This past week I’ve been working on the time theme of one of my earlier blogs. When you think you have some control of time you realize you do not. It’s an effort to continue structuring my days around the theme of health and prayer. Cold, dark, winter days tend to lead to a “hibernation effect.” That is to say, I tend to want to go home after working and just be in a warm dimly lit room and sleep waiting for spring to arrive. Maybe you experience some of the same feelings. What do you do to overcome those feelings? I love to walk, hike in the mountains, ride my bike, and even jog with my dogs but from mid October until late April the weather around here is not what you might call favorable for such activities. This year, like last, there have been some breaks in the weather but they are few and don’t last long. ,My boss, Jesus was a boating enthusiast. I don’t think that he had to deal with the ice and snow issues too much. I ran across an article called the “Jesus Boat.” In 1986, an ancient boat was pulled from the mud along the northwestern shore of the Sea of Galilee. 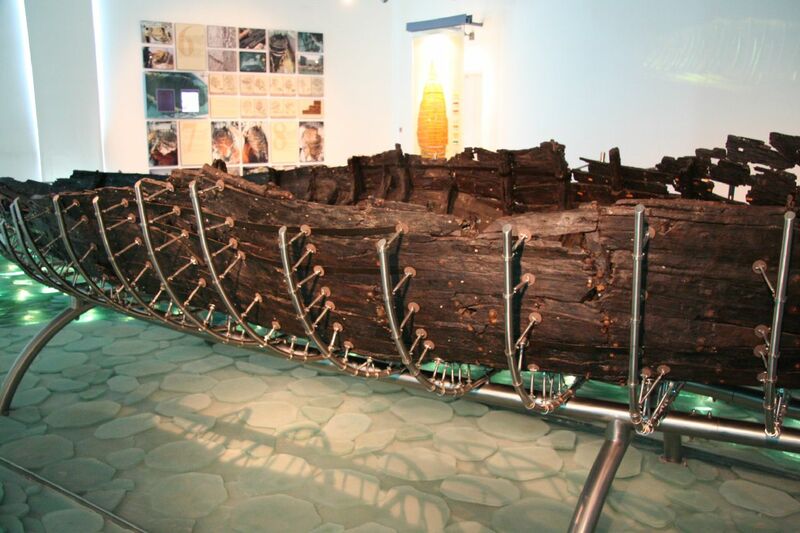 It was a unique and exciting find that gives us an idea of the sort of boat used during the time of Jesus. The boat appeared due to a great drought during which the waters of the lake receded and was discovered by the brothers Moshe and Yuval Lufan, second-generation fishermen from Kibbutz Ginosar. The brothers reported that when they found the boat, a double rainbow appeared in the sky. The boat had to be submerged in a chemical bath for 7 years before it could be displayed. The Galilee Boat is apparently the type of boat that was used on the Sea of Galilee for both fishing and transportation across the lake. It is likely that this sort of boat was used by Jesus and his disciples, many of whom were fishermen. Boats played a large role in Jesus life and ministry and were mentioned over fifty times in the Gospels. So recreation was definitely a part of Jesus life. I hope that you will take some time for recreation over the weekend and remember the Sabbath and keep it. Be Well and please be sure to visit http://www.dennymeyer.me and sign up for a regular notice of my blog postings. This entry was posted in Coach's Blog, denny meyer, life coach, sabbath, Sonrise Coach and tagged coach denny meyer, denny meyer, Galilee, jesus boat, recreation, spiritual coach, spiritual coach denny meyer, spiritual coaching. Bookmark the permalink.